This game is barbarians' fighting on swords. 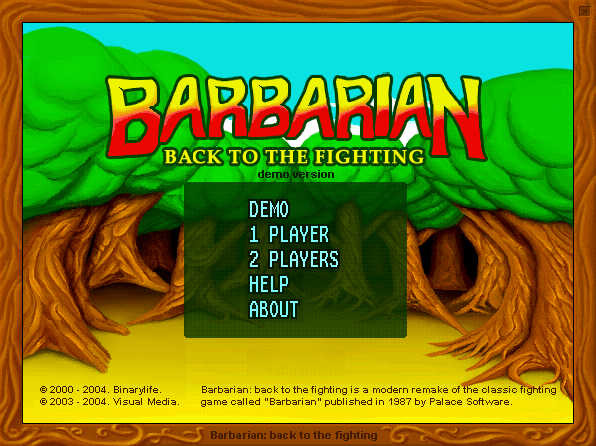 Barbarian: back to the fighting is a modern remake of the classic fighting game called "Barbarian" published in 1987 by Palace Software. This game is fighting on swords. There are 6 actions in 5 buttons: 2 blocks and 8 strikes. 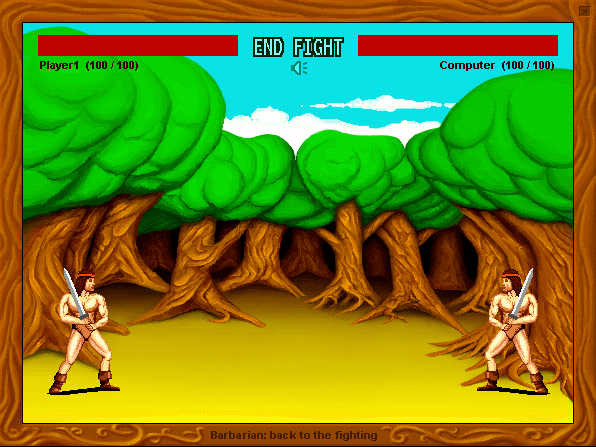 Types action: go left, go right, up, down, roll over to to the left and right, 2 blocks and 8 strikes. For completion of the strike necessary to hold button of the strike and simultaneously press button of the direction. The Technical features of the game. The Play is created with use Flash technology. Gutterball - A realistic, fast-paced and attitude-filled 3D gutterball bowling game. Marble Worlds - Marble Worlds is a highly addictive and playable challenge ! GoldBowl - Realistic bowling game for one and two players.